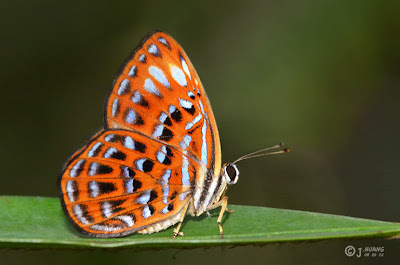 The Lesser Harlequin is a rare forest-dependent butterfly belonging to the Riodinidae family commonly referred to as the 'Metalmarks'. The species prefers to lurk in deep forest and usually fly at low level, flitting from leaf to leaf in the shady undergrowth. This female Lesser Harlequin was photographed last weekend by newbie butterfly photographer CJ, who recently joined ButterflyCircle. The female Lesser Harlequin is distinguishable from the male in that the forewing white apical spots are larger and more prominent. 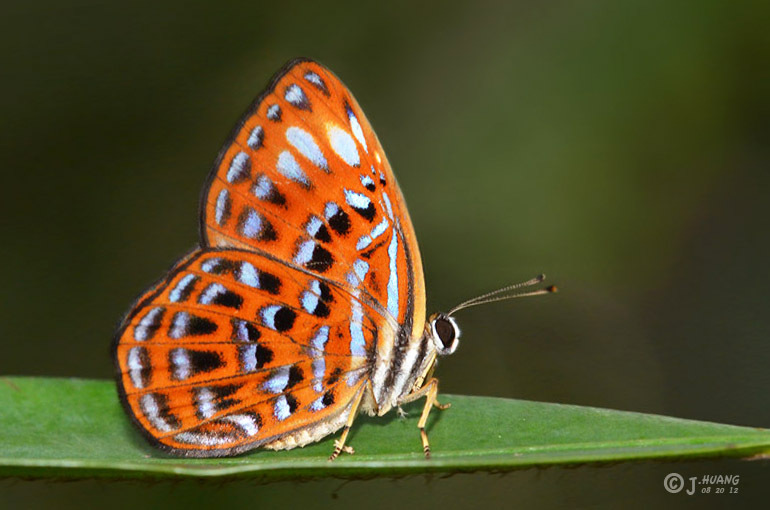 Males are black and unmarked on the upperside whilst females' upperside markings appear similar to the undersides.